Learn about bicycles and sustainability through jewelry making! 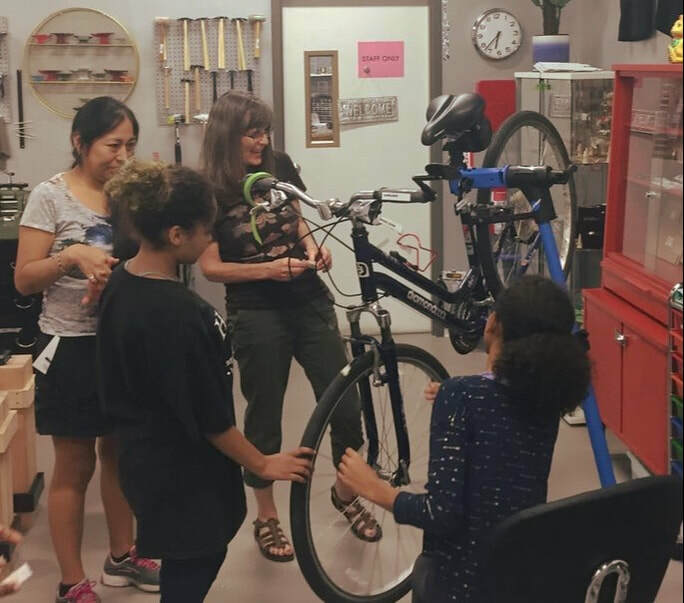 You don't have to be an avid cyclist to enjoy this workshop, but you might fall in love with bikes when you're done! 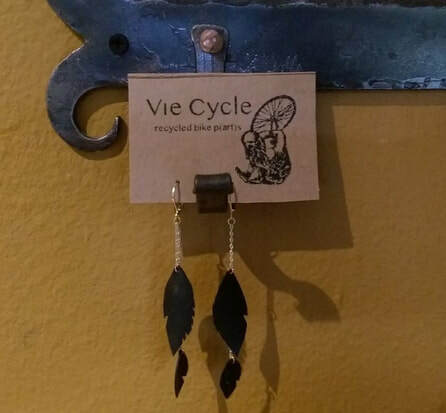 We'll be creating jewelry from recycle bike chains, tubes and other parts that would otherwise end up in the trash. During the workshop we'll also learn about tools, types of bikes and how to do a safety check before going on a ride. At the end you will be able to take home your beautiful handmade creation! This is typically a 2.5 hour workshop or event. You are welcome to bring your own bike to practice some basic maintenance. If you have your own bike parts or special items that you'd like to recycle into jewelry, bring those along too! Parts, tools and snacks are provided by Vie Cycle. Sign up for an upcoming workshop or request and schedule one with your friends!